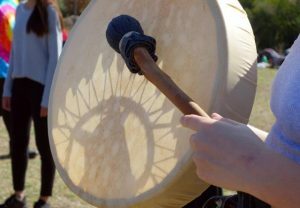 A two Day Shamanic Drum Making Workshop – in which you create your own drum, and delve into your creative/birth process in a circle of women. 9 – 10 November 2019. Making your own medicine drum is a deep and powerful experience. 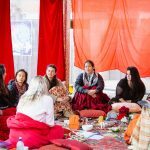 As Shamanic Womancraft practitioners, we will encourage you to approach the process with awareness and consciousness – supporting you to not only make yourself a personalised shamanic tool, but to also have a shamanic experience connecting with the animal of the hide you are using, the timber of the frame and the way you are with the creative process. This two day workshop will be held on the Weekend of 9 and 10 November, at the beautiful Peace Farm in the Yarra Valley. You will be involved in all aspects of creating the drum. 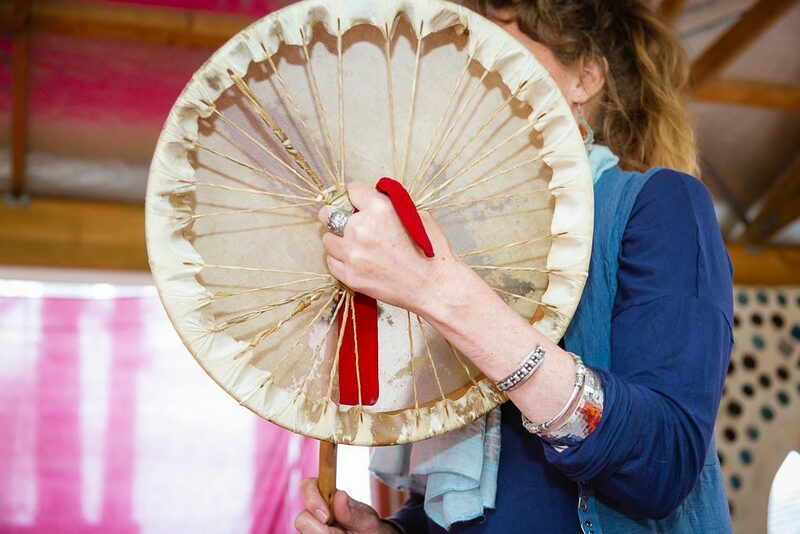 Emilie Alciato: Shamanic Craftswoman, Mother, Dancer and facilitator of monthly Moon circles, and Chant de Lune, Medicine songs for women at Peace Farm in the Yarra Valley. in the Yarra Valley, Victoria. You will be held in a safe and sacred space as you birth yourself and the drum through this creative shamanic (meaning ‘inner’) process. 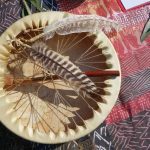 The process you undergo as you make the drum will be reflective of your own birth story, the births of your children (if you have any) and how you do “process” in your life both creatively and in relationship to Other. 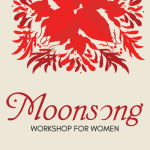 Throughout our workshop, each woman will be honoured as both student and teacher and together we will hold a collective space for transformation and growth. The relationship with your drum can last a lifetime. We welcome you to join us for this magical transformative weekend.